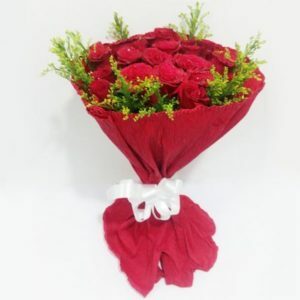 Bright red roses are the perfect way to display your love and admiration to those who have a special place in your life. 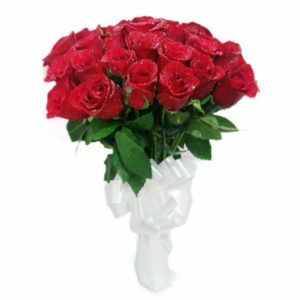 Indicating unconditional love and compassion, these red roses paint a beautiful picture of emotions. 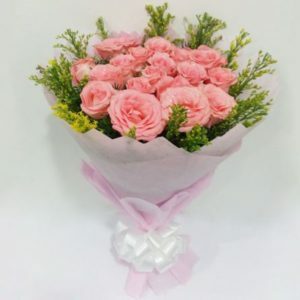 Lilies are a symbol of peace and affection and greatly signify loyalty. The lilies and red roses complement each other beautifully. 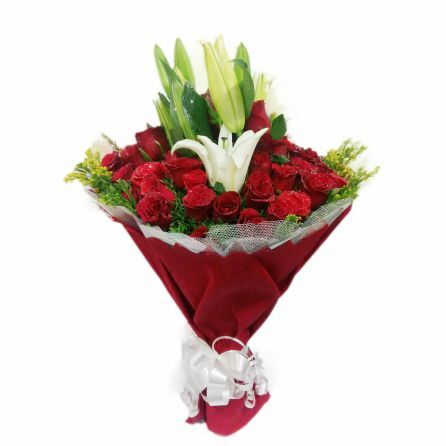 Make your dear ones accept your love by giving them this attractive bunch of 3 lilies and 50 red roses.